Europe’s weather forecasting system is set to benefit soon from a new series of spacecraft, with the 1st of the MetOp satellites set for launch on 17 July. Its payload includes IASI1, an instrument developed by CNES that will acquire highly accurate vertical profiles of the atmosphere for the 1st time. The launch of the European MetOp satellite on 17 July will be a big step forward for weather forecasting. Until now, Europe has relied exclusively on geostationary weather satellites like Meteosat. At an altitude of 36,000 km, the geostationary arc is the highest orbit used today for Earth observation. The advantage of a satellite in this orbit is that its field of view covers the entire planet, keeping constant watch over the surface directly beneath it. But it also has a drawback: at that altitude, it obviously can’t see as much detail as a satellite closer to Earth. Polar-orbiting satellites like MetOp, operating at an altitude of just 840 km, are therefore set to give weather forecasters significantly more data. MetOp-A, the 1st in a series of 3 satellites, will be orbited this summer by a Soyuz launcher from Baikonur. 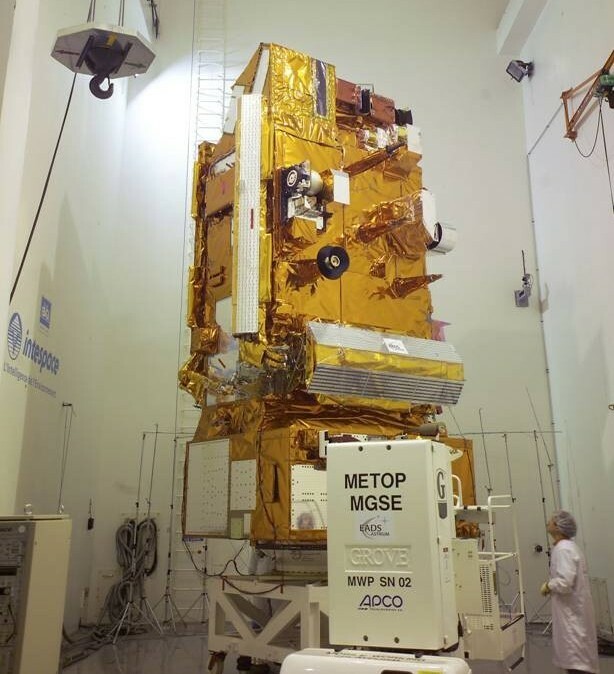 MetOp-A, which should be operational by early 2007, will “be a huge aid to meteorologists’ efforts to improve forecasting reliability,” says Emmanuel Legrand at France’s Meteo France national weather service. He expects to see an improvement in the range of forecasts of ½ a day over the next 3 years, compared to 1½ days in the last 20 years. Longer-range forecasts are expected to be of excellent quality and shorter-range forecasts will also improve as a result. IASI will sound the atmosphere twice daily to acquire profiles of unprecedented accuracy. It is expected to deliver humidity profiles accurate to 10% and temperature profiles to within 1°C.